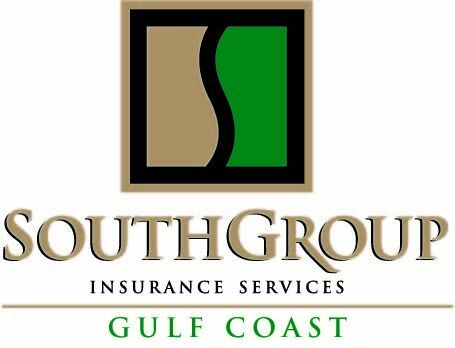 SouthGroup Gulf Coast - Your Trusted Choice: Singing in the Rain - and Driving Safely Too !! As April showers continue to plummet us, SouthGroup wanted to review some driving safety tips for the rainy weather we have been dealing with and will be continuing to deal with until we see May flowers. Driving in the rain is always dangerous and even more so at night. Once the roads are wet, the odds have worsened regardless of the amount of rain dumped onto the streets. Of course, in areas of the road that hold water, the odds of danger increase significantly. The most important thing to do while driving any time, but especially in dangerous conditions, is pay attention! Distractions are one of the leading causes of auto accidents today. Today we have more distractions than we have had in the past, such as cell phones buzzing that we want to check immediately. We recommend, in dangerous conditions, you turn off anything that may distract you (your cell phone, stereo, etc ) from focusing on the road ahead. While you focus on the road ahead, do be sure to check all of your mirrors regularly to keep a clear view of what is happening around you. In severe weather, you could be in danger of falling electrical wires or poles, trees, or other cars who have lost control and are heading in your direction. While keeping focused and paying close attention, also remember you want others to be able to focus on you too! Everyone should have their headlights on in rainy weather conditions, regardless of how bright it may be out. Not only is your visibility important, but being visible to others also increases your safety. In heavy rain, your headlights will also assist you in seeing what is in front of you. Some things are easy to miss, such as obstacles in the road, in heavy rain. Distancing your vehicle from those in front of you is a safety practice we should all use whenever we are behind the wheel, but even more so in rainy weather. Driver safety training recommends allowing 1 second of following distance per 10 miles per hour of speed. And remember not to rush in rainy weather, even if you are in a hurry. Drive at or below the speed limit to the point that you can see far enough in front of you to appropriately make driving decisions. Last second choices are far too dangerous on wet roads. Know your tires and what they can handle! The maximum speed at which you can drive at all times is directly related to your tires. Keep an eye on the condition of your tires. With use, tires lose their ability to grip wet pavement and channel water out as the tread wears out. A penny can be substituted for a tire tread depth gauge as tires wear to the critical final few 32nds of an inch of their remaining tread depth. Place a penny into several tread grooves across the tire. If part of Lincoln's head is always covered by the tread, you have more than 2/32" of tread depth remaining. The largest threat to driving on wet roads (even when it is not currently raining) is hydroplaning. Hydroplaning is where your vehicle travels on top of the water and has no or very little contact with the ground. Your traction is reduced significantly. To safely get out of a hydroplaning situation let off the gas and steer straight or slightly in the direction you must go. Do not make sudden motions, and remain calm. Never engage cruise control driving on wet roads. Using your cruise control feature during wet conditions increases your risk of hydroplaning. When you see standing water or flooded roads and you are not sure of the depth, do not attempt to drive through. Flooding the engine of your car can cause the engine to stall, and deep water can actually float your car and take it off the roadway. Watch for splashing from potholes and pools of water that accumulate at clogged storm drain pipes and low areas of the pavement. Highways also develop "ruts" where the heaviest traffic tracks, and you may be able to position your vehicle while remaining in your lane to avoid these. Also, be aware that brakes can be affected by water. Wet drum type brakes are especially prone to decreased stopping power after driving through deep water. Visibility in heavy rain is another major threat. We recommend pulling over until you are able to see clearly enough to drive safely. If you must drive through without stopping, increase your visibility by turning on the defroster if the windshield begins to fog. In hot, muggy weather, air conditioned air (which cannot contain as much moisture) will usually clear the inside of the windshield faster than non air conditioned. To prepare in advance, use a rain repellent product on side windows and mirrors to clear standing raindrops. Beware of driving in the rain, especially at night. Motorcycles or even other dark-colored cars can be camouflaged amongst glistening raindrops on side windows and mirrors. Remember to always check your vehicle before taking long trips - especially if you expect dangerous weather conditions in your travels. Check not only your tires, but your brakes and brake fluid, power steering fluid levels, windshield wipers (for wear), defroster is properly functioning, and lights are properly functioning. Always avoid driving in severe weather conditions if you are able. Did you know that some auto insurance companies discount your policy premiums for safe driving records and good driving history? Call our office today to find out if your insurance policy is providing you the proper discounts, or visit one of our 3 convenient coastal locations for a free insurance review of all your policies. SouthGroup Insurance strives to provide the best coverage to each of our clients on a personal level at the best rates available.